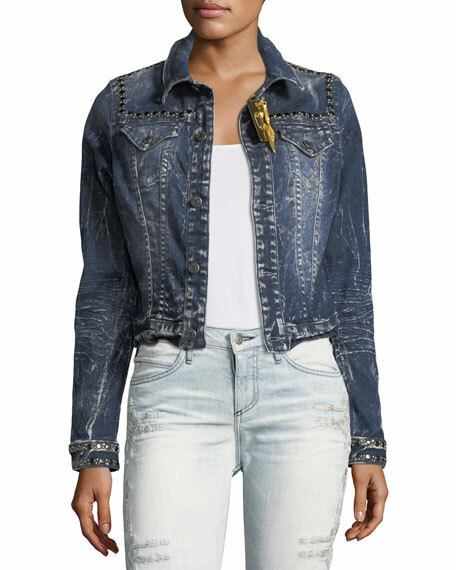 Robin's Jeans washed denim jacket with studded trim. Patent logo patch at back. 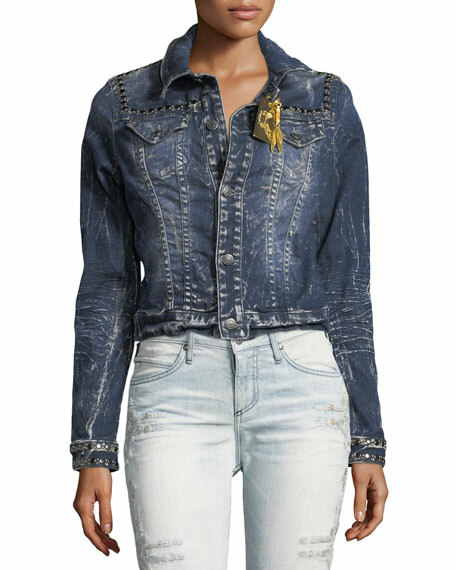 For in-store inquiries, use sku #2357210.